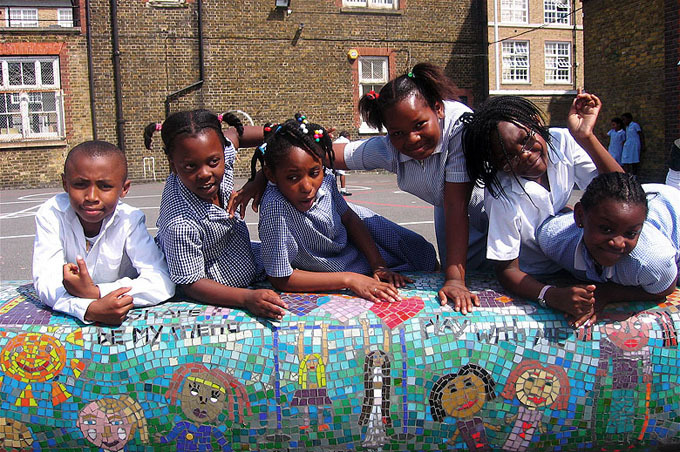 “Friendship” Bench designed with the notion of when somebody sat on the bench they had to make friends with the person sitting next to them. 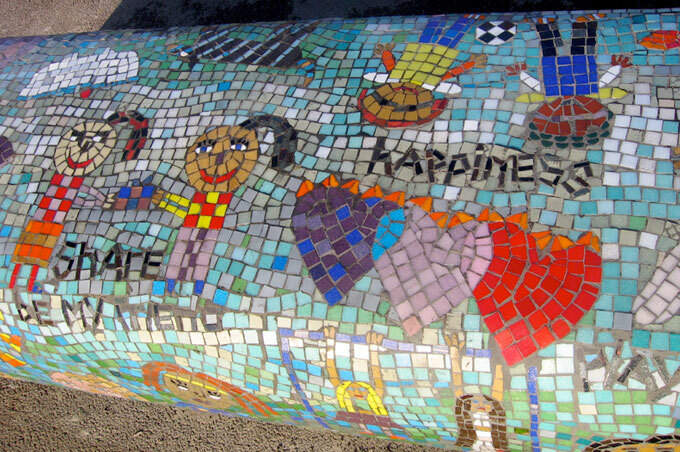 Mosaic images adhered to pre-cast cement bench. 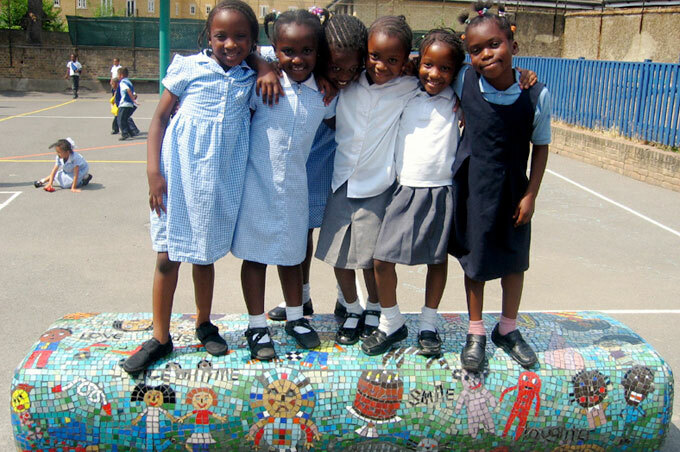 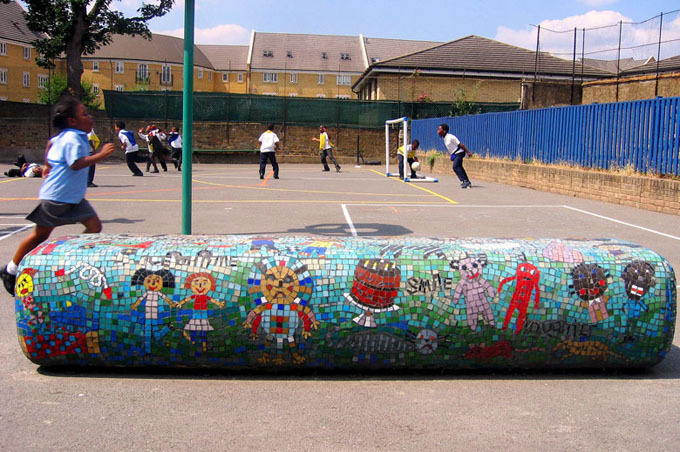 Part of a collaborative primary schools Sculpture Trail – “Taking Part” Peckham Park Project – EiZ Action Zone, Peckham.